Grotta della Monaca is a karst cave located in Calabria, the southernmost region of the Italian peninsula. About half a kilometre deep, the cavern has drawn the attention of man since Paleolithic because of the abundance of metal ores in it (mainly iron hydroxides but also copper carbonates). These easily reachable minerals have been exploited during prehistory and especially between the late Neolithic and the early Copper Age. 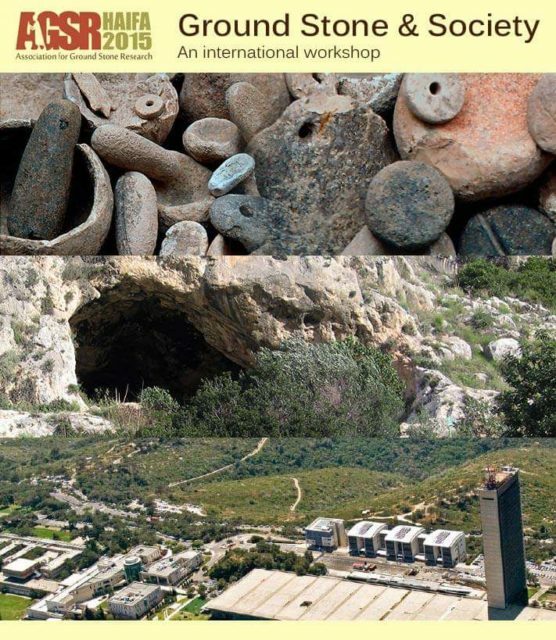 Research conducted within the site from 2000 to 2012 has allowed us to understand various aspects of the ancient mining activities and, at the same time, to reconstruct the basic steps of the operational chain connected to the procurement and to the first processing of such resources: from the choice of tools to the various extractive techniques adopted, from the disposal of mining debris to the early operations of ore processing. In this paper we focus on two categories of macrolithic tools: those used to extract minerals and those used for their first processing. The first group is composed by 51 artefacts divided into axes, hammers and pickaxes with central groove, found in the deeper areas of the cave corresponding to mining areas. Their morphological and dimensional variability indicates a significant functional diversification; furthermore, the choice of different very hard metamorphic rocks implies a high awareness in the selection of the raw materials used for making this implements. The second group includes 22 tools with different functions – mainly made of sandstone – classified as querns and grinder/crusher. They were found in an underground area adjacent to the entrance, characterized by large and comfortable spaces, with the widespread presence of natural light. A recent traceological study has clarified the function of such artefacts, used to grind mined blocks of iron hydroxides to obtain a powder. The multidisciplinary approach in studying mining tools from Grotta della Monaca (such as petrography, archaeological typology and traceology) has allowed us to gain important knowledge about their general characteristics. Since the end of the 19th century, the Calabria region in southern Italy, has been known for an abundance of grooved stone axes and hammers used there during Late Prehistory. These artefacts are characterized by a wide and often pronounced groove in the middle of the implement, thought to have aided application to a wooden haft. Their widespread presence is known both in prehistoric archaeological literature and in the archaeological collections of various regional and extra-regional museums. At first, scholars did not related these tools to the rich Calabrian ore deposits and to possible ancient mining activities; they were regarded simply as a variant of ground lithic industry of Neolithic tradition. However, between 1997 and 2012, about 50 tools were discovered in the prehistoric mine of Grotta della Monaca in northern Calabria where there are outcrops of copper and iron ore. This allowed us to recognize their specific mining value and to consider them as a sort of “guide fossil” for the identification of ancient mining districts. This paper presents the results of a study involving over 150 tools from the entire region, effectively demonstrating an almost perfect co-occurrence of grooved axes and hammers with areas rich in mineral resources, especially metalliferous ores. In the National Museum of Archaeology of Valletta (Malta) are stored a few ground stone percussion tools linked to engineering and craftsmanship works. Dating back to the Temple Period (about 4000-2500 BC), these artifacts are tools of average dimensions, in some cases typologically similar to artifacts from the continental area, whereas in others they look original and probably developed in loco as a response to specific needs. In particular, this paper deals with four stone hammers with different hafting methods (grooves or holes in the centre of the lithic body, or, in some cases, both). To a different and unusual typology belongs a huge double hand grip percussion tool: the double grip allowed two opposite-standing men, steadily grabbing it, to strike with strength on other surfaces, probably when heavy blows were needed. This paper aims to contribute to the study of work lithic tools used in prehistoric contexts. In fact, in these cases the attention is too often concentrated on the results of specific activities or productions rather than on the typological and technological features of the artifacts that made these very results possible.